This range of different payload configurations means that almost any inspection task can be achieved using the Matrice 210. You can use a thermal camera alongside the X5S for example, to capture high quality photographs while also gathering thermal data. The Matrice 210 quadcopter also has the same foldable design found on the other Matrice 200 drones. The M210's foldable design means you'll be up and running in no time. It's easier to unfold and get flying with the Matrice 210 than it would be with the Matrice 600 or Matrice 600 Pro. 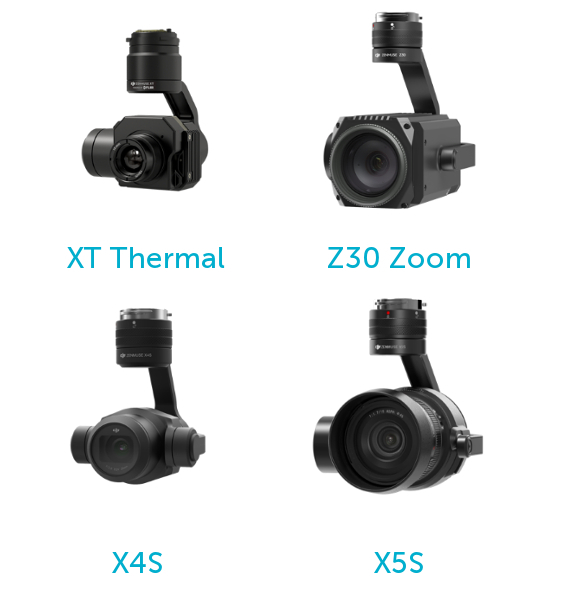 The Matrice 210 supports a range of existing DJI cameras. This will allow the operator to capture both high quality video footage or stills, as well as enterprise level thermal or inspection data. 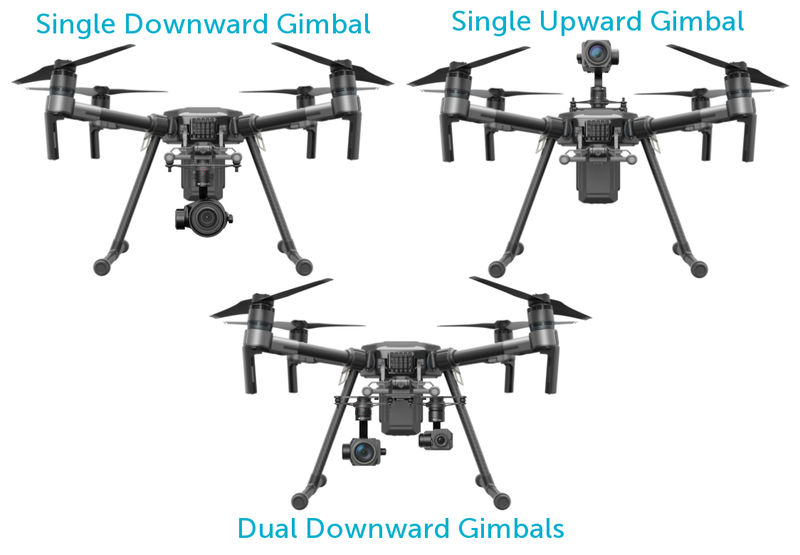 Why use the Upward Gimbal Mount? 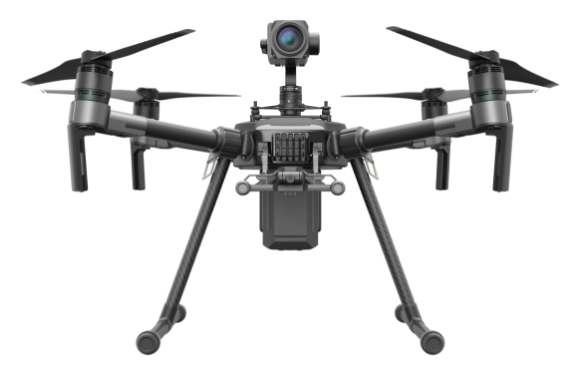 The Matrice 210 (and Matrice 210 RTK) offer the ability to mount a camera on top of the quadcopter, instead of the traditional position below the aircraft. This is a unique feature which will help enterprise users inspect even the most difficult to reach places. The combination of the M210's FlightAutonomy system to avoid obstacles and the top mounted gimbal to inspect vertically make the DJI Matrice 210 a valuable resource for inspection teams. Increase efficiency and safety by using the upward mounted gimbal to inspect under bridges, around wind turbines, underneath oil rigs and many other places.